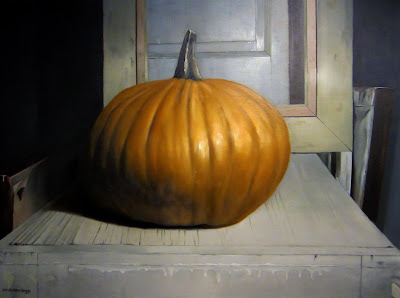 Of all the pumpkin paintings I've seen throughout my life - this is my favorite. You have captured a real mood here. Actually I take it back, it's not one of my favorite pumpkin paintings but one of my favorite paintings of all time! I truly love this painting.